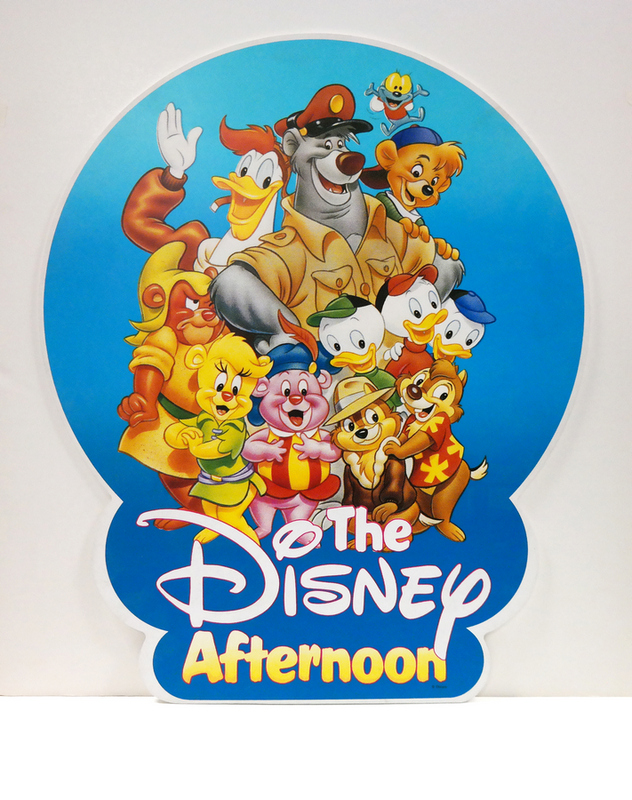 This is an original DIsneyland park sign that was hung on light poles to promote the 1991 temporary attraction "The Disney Afternoon Avenue". 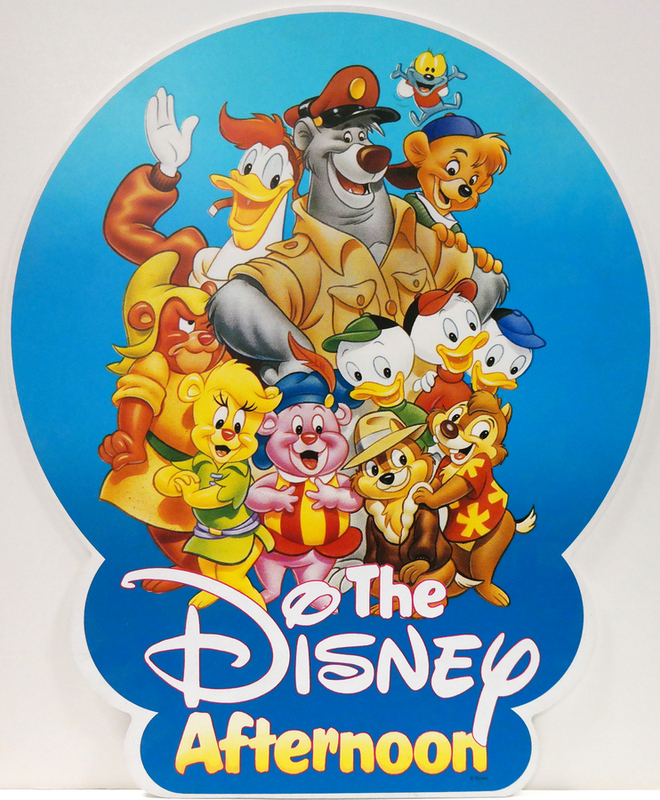 This event and attraction area was a reskinning of the walkway between Fantasyland and Toontown that featured the walkabouts of characters from Disney's 1990's television series, including the Gummi Bears, Chip and Dale Rescue Rangers, and Ducktales. The sign is in very good condition with minimal wear. The sign measures 23" x 19" and is a plastic base with a digitally printed decal applied to the front side.